We are delighted to announce we have appointed Mellors Catering Services as the school’s new provider of school meals and mid-morning snack, beginning in September. 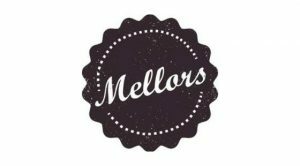 Mellors Catering Services is an established, family-run contract catering company that is part of the Mellors Food Group and has been trading for 23 years. They mainly operate in the North of England, within Primary and Secondary Schools and will be providing catering to schools across the Wednesbury Learning Community Trust. Mellors Catering Services is committed to delivering an exciting choice of food to pupils with the help of our nutrition and food development team. They pride themselves on using fresh, locally supplied produce. There is a lot of diet and nutrition information out there but sometimes it can be helpful to have some extra guidance – that’s why you can email Mellors’ registered nutritionist, Danielle with your questions via the Mellors website, https://www.mellorscatering.co.uk/ . Danielle specialises in Childhood Nutrition and can answer all of your questions regarding school food, allergies, fussy eaters and general health and well-being. As long as your child’s allergen and dietary preference information is up to date with the school, you should not be able to order a product that contains anything that your child has an allergic reaction to, or preference against eating. However, please exercise caution and check the allergen information on products when ordering your meals. If you require further information, or reassurance please contact Mellors directly. If your child has recognised medical dietary needs, Mellors will be only too happy to discuss these with you. As part of this change, we will soon be launching a new payment service for our school catering system. This will allow you to book and pay online for lunchtime and mid-morning snacks for your child. This is called ParentPay. ParentPay will allow you to book and pay for your child’s lunch and pay for mid-morning snacks online 24/7. Payments can be made by credit/debit card or cash payments at one of 33,000 PayPoint stores. Full payment histories and statements are also available on the site at all times, and you’ll be able to receive alerts when balances are low via email or text message. Please find attached the sample lunchtime menus which are changed every 3 weeks. The price of this meal is £2.25 a day. This must be paid for when the meal is booked. If your child is absent please logon to the system and cancel the meal. Your account will be credited for the cost of the meal, meaning you won’t pay for a meal your child doesn’t receive, and can use this credit in the future for another meal. The final lunchtime and mid-morning menus will be available for you to order and pay for from the week commencing 27th August 2018. Orders for your child will need to be made in time for your child’s return on Tuesday 4th September. You will also find attached a sample menu for the new mid-morning break options for Years 1 to 6, which will replace the current school offer of toast and juice. This will also be able to be ordered using ParentPay. If you have already expressed an interest for toast and juice from September, please use ParentPay to place your order. We are really excited to be able to offer these varied healthy and delicious options for children on a daily basis. Nursery and Reception will continue to have their current snack options. This payment will continue to be made through School Gateway. All other services for pupils, such as milk, trips, general consent, clubs, messaging and all other payments will continue to be done via School Gateway for the foreseeable future. We will no longer be using Live Kitchen. Please make any outstanding payments and delete your link to Live Kitchen from your devices when this is done. If you are in credit, please contact Live Kitchen to arrange a reimbursement.